We have heard a lot of reports and leaks that show that Microsoft does have a disc-less version of the Xbox One S. It was first rumored a few months ago, that Microsoft could release a version of its Xbox One S console which will only play digitally downloaded games because it doesn’t have a disc drive. A new report suggests that this console is now expected to arrive by May 7th. Some leaked marketing images now reveal that Microsoft is going to release this console, at least in Europe, on May 7th for the cost of €229. It may or may not come to the United States before then, but we can expect it at some point soon after. The marketing images show that the console itself isn’t all that different as far as design and functionality. 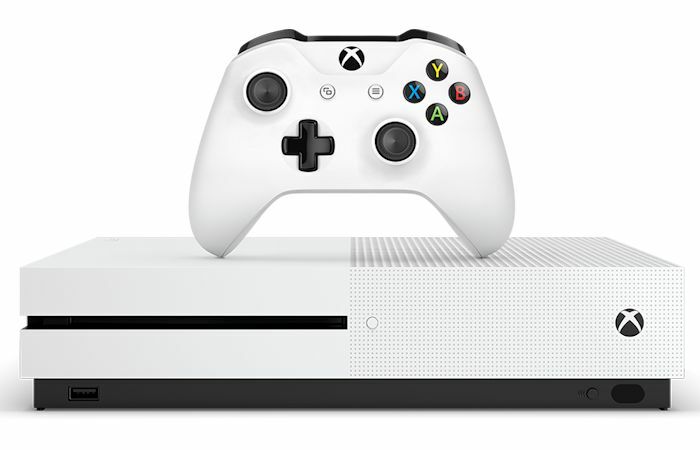 It looks like a regular Xbox One S, except for the fact that it doesn’t have a Blu-ray drive. Microsoft will ship the console with 1TB of internal storage and the console may also come with three titles pre-installed. These games may include Forza Horizon 3, Sea of Thieves, and Minecraft. We will let you know when we hear more about this new console.